The Rebel Sweetheart. : Have an Epic Labor Day Weekend at #LaBoracay! Have an Epic Labor Day Weekend at #LaBoracay! Happy Labor Day, everyone! Hope you're all enjoying today's non-working holiday. Now if you're heading to Boracay this weekend, you're in for a treat as Globe Telecom gears up for an epic Labor Day Weekend. Hosted by Republiq, celebrate that well-deserved break with exceptional and exhilarating parties amid the sun, sand, and surf in beautiful Boracay! Tattoo Labor Day Weekend 2014! 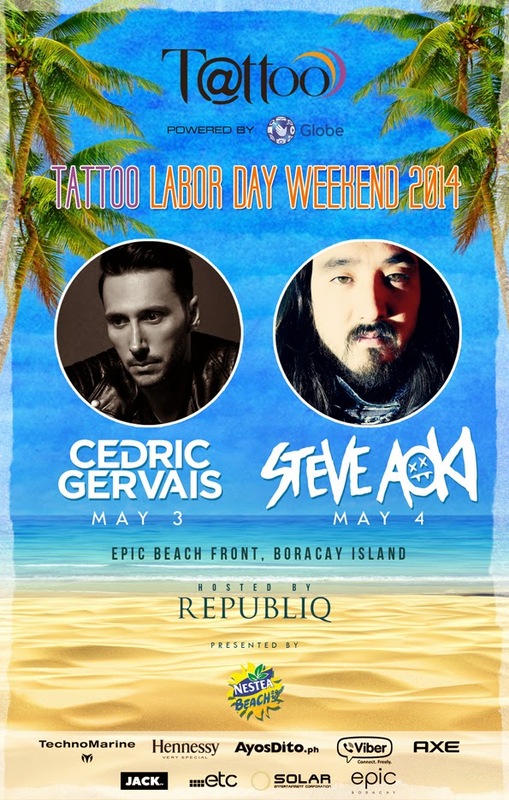 The party happens at the Epic Beach Front, with spin-master Cedric Gervais taking the stage on May 3. While on May 4, Grammy-nominated producer and DJ Steve Aoki is set to bring the house down. And while you're there, make your Labor Day weekend one for the books - share anything and everything exciting that happens right on your tablet as Tattoo makes sure you stay connected with the best-value prepaid and postpaid tablet bundles! Upon purchase of these Tattoo products at the Globe store in Boracay, customers may receive up to 3 tickets for free, to the most happening weekend! Free tickets can be claimed at the Tattoo Booth in Epic on May 3 and 4, from 12 noon to 12 midnight. Don't forget to present your proof of purchase! No receipts, no free tickets! I am planning to go there this May, sayang I can't able to witness the Globe event, seems fun. So many parties in Boracay! But I chose to stay home, and prolly go somewhere where there are less people and less partying - I want to escape Hehe. 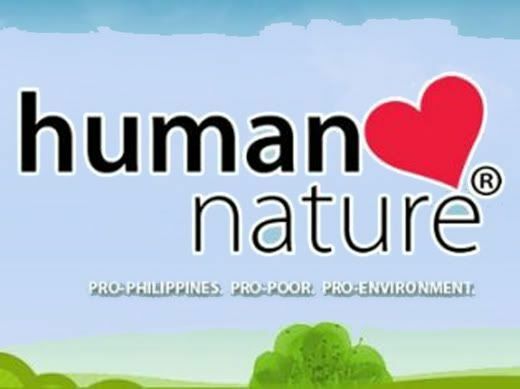 Human Heart Nature Mammome Event. Wordless Wednesday #84 | Cupcake! Jewelry Processing into Raw Form. Spotlight | Avon Over Nature Lipstick. Foodie Goodie | Meiji Lucky Stick Cappuccino. History and Advantages of Alcohol-Free Perfume. The NCeries Space Science Roadshow. Wordless Wednesday #83 | Totoro! Flash Giveaway | Win Php 2000 from Globe! Globe goes global with new international SIMs! Spotlight | Nivea Cashmere Moments Cream Oil. Flu Shots | Better Safe than Sorry! Wordless Wednesday #82 | Snippets from Sunday. Foodie Goodie | No-Bake Chocolate Cheesecake. Solaire Exclusives for Mother's Day 2014! Wordless Wednesday #81 | Happy Mother's Day! The McDonald's Kiddie Crew Workshop + Giveaway! Foodie Goodie | French Toast with a Twist.